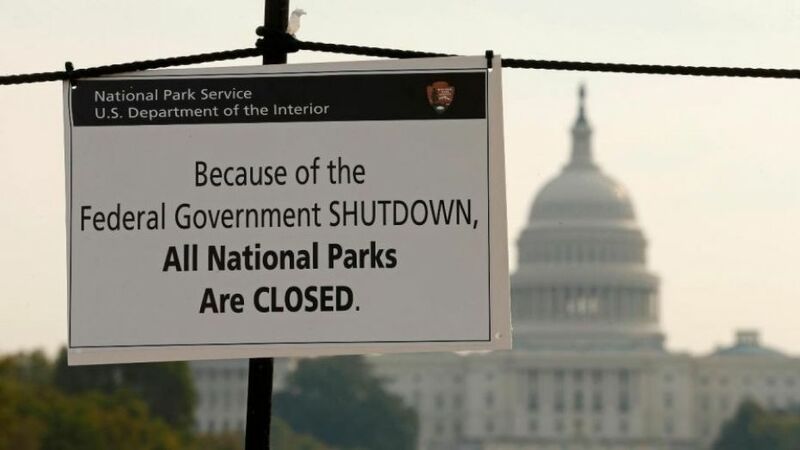 A shutdown occurs when Congress and the president fail to sign into law 12 appropriations bills to continue providing funding for government operations. Lawmakers breathed a sigh of relief Monday as they reached a compromise to end a three-day shutdown to keep the government open until Feb. 8. The government has now shut down a total of 19 times since Congress introduced the Congressional Budget and Impoundment Control Act, which established the federal budget process in 1976. Half of those shutdowns occurred over a weekend. But there have been a handful of lengthy U.S. government shutdowns. According to data from the Congressional Research Service (CRS), six shutdowns in the past four decades lasted more than 10 days. However, Goldwein says, only three of those shutdowns are significant. Two occurred during the Clinton administration in the winter of 1995 to 1996 when former President Bill Clinton and the Republican Congress were at odds and shut the government down for a total of 26 days, Goldwein said. The third occurred during the Obama administration in 2013. A stalemate between the House and Senate led to a 16-day hiatus. Here’s a look back at every government shutdown in the history of the U.S. The first partial shutdown occurred under Gerald Ford’s presidency when Ford vetoed a $56 billion spending bill for the Departments of Labor and Health, Education and Welfare, according to a 1976 report from The New York Times. This was the year the Congressional Budget and Impoundment Control Act became law, allowing Congress to take an extension, known as a continuing resolution (CR). There were three shutdowns, referred to as the “abortion shutdowns,” in the late 1970s under the presidency of Jimmy Carter. The Democratic party may have dominated both the House and the Senate, but they couldn’t get Republicans on board when it came to using Medicaid to pay for abortions. In 1978, Carter vetoed a $37 billion defense authorization bill, which included a $2 billion nuclear-powered Nimitz-class aircraft carrier — equipment he didn’t consider essential to national security, The Washington Post reported. This led to the second largest shutdown in the history of the nation. Another funding gap took place a year later when the House and Senate disagreed over raising pay by 5.5 percent for members of Congress and senior civil servants, The Washington Post reported. And there was yet again another debate over abortion funding. President Ronald Reagan vetoed a spending bill because it didn’t make enough cuts. The government shut down for one day when Congress failed to pass the spending bill on time. Both the House and Senate wanted to increase public works spending in order to create more jobs — a move Reagan opposed. The House also opposed MX missile funding, which, The Washington Post noted, was a “major defense priority” of Reagan’s. Reagan argued over the Democratic-controlled House’s proposed foreign aid and spending cuts and their plea for an increase in funding for education. At the same time, Reagan was pushing for more funding for the MX missile. Eventually, both parties reached an agreement. In short, Reagan agreed to the House’s proposed crime-fighting package, but he opposed their water projects package. “Reagan offered to forgo his crime bill in exchange for junking the water package…but a deal wasn’t reached in time to avoid a brief shutdown,” The Washington Post reported. Lawmakers reportedly needed another day to discuss the spending bill. The Democratic-controlled House was once again in disagreement with Reagan and the Republican-controlled Senate. This time, over a welfare package deal. Reagan and Democrats couldn’t agree on funding for Nicaraguan “Contra” militants. Democrats also pushed to reinstate the “Fairness Doctrine,” which required licensed broadcasters to give equal air time for people with competing political points of view. Only one shutdown took place during George H.W. Bush’s presidency. It occurred in October 1990 after Bush vetoed a stopgap spending bill, The New York Times reported at the time. But the timing was right. The shutdown happened over Columbus Day weekend and most federal workers were already off for the holiday. President Bill Clinton vetoed a continuing resolution in November 1995 over Medicare premium increases. “The government is partially shutting down because Congress has failed to pass the straightforward legislation necessary to keep the government running without imposing sharp hikes in Medicare premiums and deep cuts in education and the environment,” Clinton said during an address on Nov. 14, 1995. It’s the longest shutdown in U.S. history: 21 days. The government shut down after Clinton vetoed the spending bill proposed by the Republican-controlled Congress. After a long three weeks, the president and Congress agreed to a seven year budget plan, which included “modest spending cuts and tax increases,” according to research by the Regional Oral History Office at the University of California, Berkeley. Seventeen years later, the government shut down once again. Lawmakers couldn’t seem to come to an agreement on the Affordable Care Act, also known as Obamacare, in 2013. 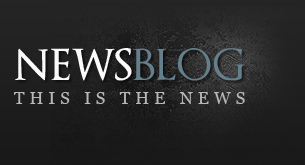 The House passed several versions of the bill to fund the government. But each time, the Senate sent it back. “This is an unnecessary blow to America,” Harry Reid, the Senate democratic leader at the time, said of the shutdown. When it comes to immigration and spending, President Donald Trump and Republican lawmakers and Democrats were divided. Republicans controlled the Senate but they still needed 60 votes to break a filibuster. “When you only have 51 votes in the Senate, then you have to have Democrat support in order to keep the government — to fund the government,” OMB Director Mick Mulvaney told reporters during a White House press briefing Friday. Democrats said from the beginning that they’d reject any deal that didn’t include a legislative fix for the Deferred Action for Childhood Arrivals (DACA) program, an Obama-era program, which offers protection for immigrants — also known as “Dreamers” — who came into the U.S. illegally as minors. “I am proud of House and Senate Democrats’ unity in insisting on a budget that supports our military and the domestic investments that keep our nation strong, and that honors our values by protecting the DREAMers,” House Minority Leader Nancy Pelosi, D-Calif., said in a statement as the government shut down. Trump, on the other hand, said Democrats only had themselves to blame when it came to both shutting down the government and failing to make a deal on DACA. In the end, Democrats reached a compromise to reopen the government through Feb. 8 — with one condition. There was a total of six shutdowns, averaging about two days, during President Ronald Reagan’s two terms.